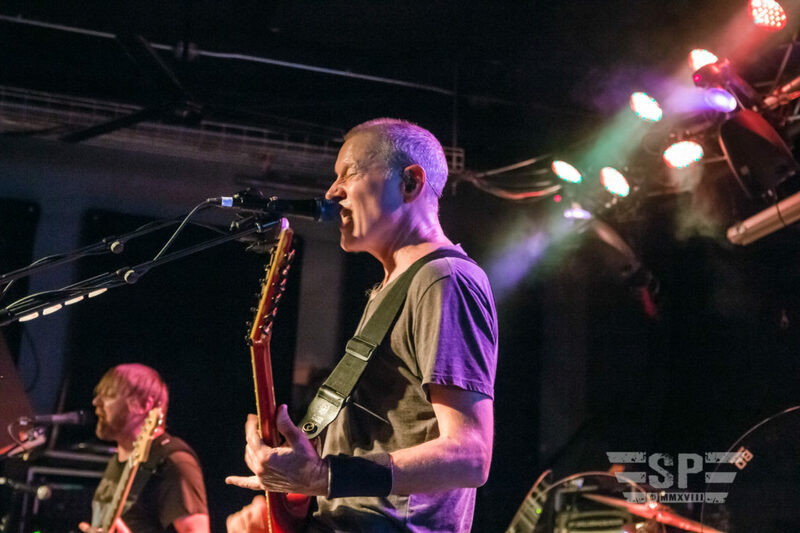 Teaneck, NJ — Co-headlining a brief but historical tour, Prong and Helmet, two well recognized veteran acts from NYC were poised to take stage at a rather unlikely venue — Debonair Music Hall, located in the suburbs of New Jersey. 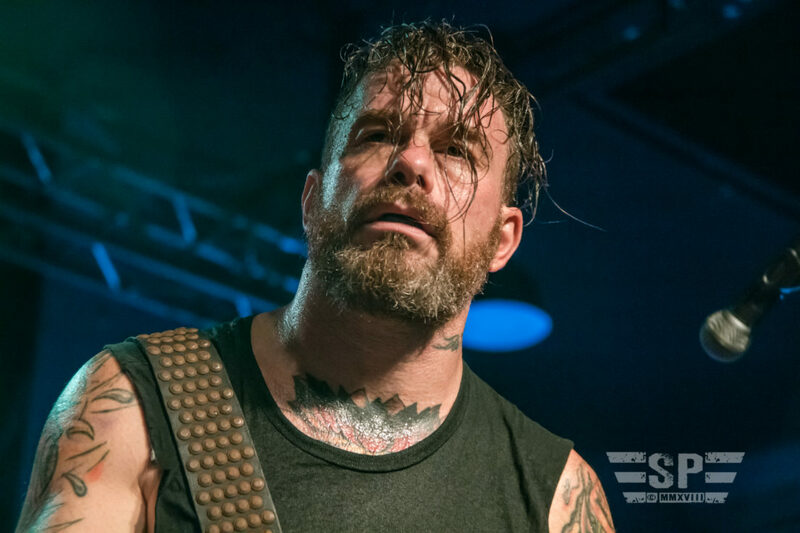 Many fans consider this a long awaited co-headlining tour, as both bands emerged from the same NYC industrial-metal scene in the early ’90s, and for some reason had never before toured together in their quarter century of existence. 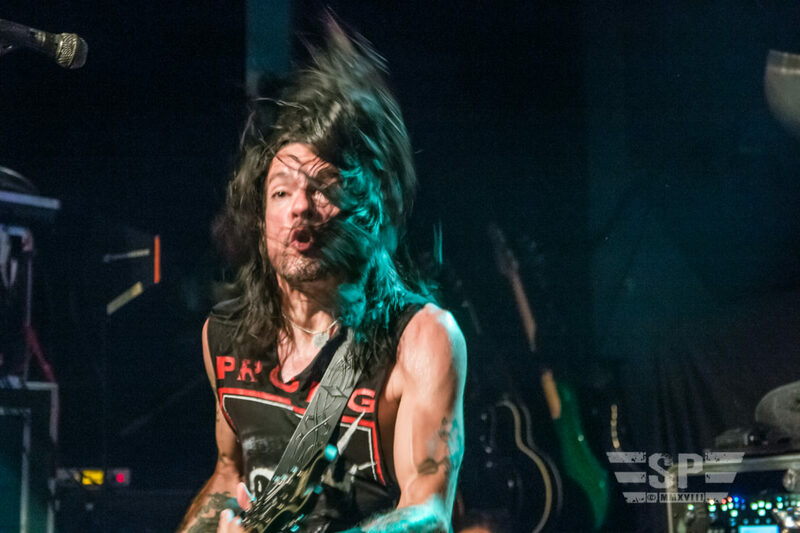 Taking the first slot on this second to last tour date, Prong took to the stage and unleashed their signature brand of metal that altered the genre forever. 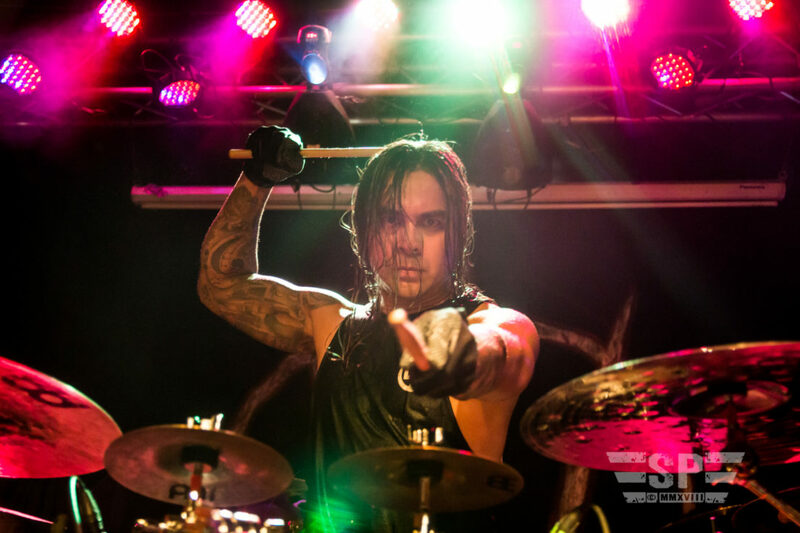 Delivering a satisfying performance that one would expect at a more prominent venue, frontman and guitar/vocalist Tommy Victor (Ministry, Danzig) held no reservations, giving the eager fans 101 percent of his rage, as he simply does every night. 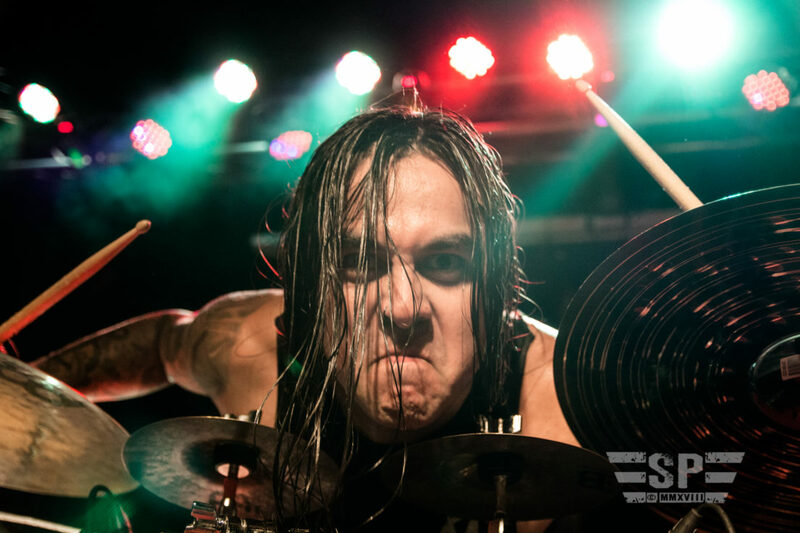 The same could be said for his band mates, as drummer Art Cruz, delivered one of the most intense displays of metal drumming in recent times. 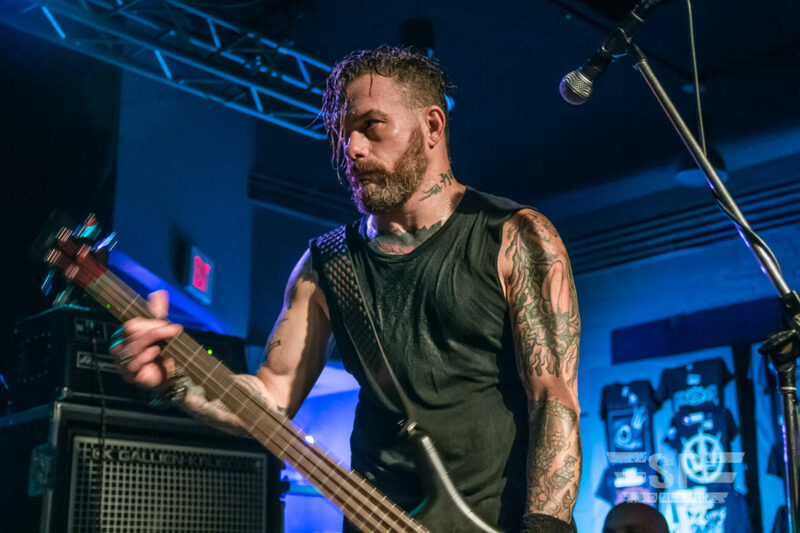 Bassist Jason Christopher, (Ministry, Stone Sour) completed the equilateral triangle of massive stage presence with his skull crushing low-end sound. 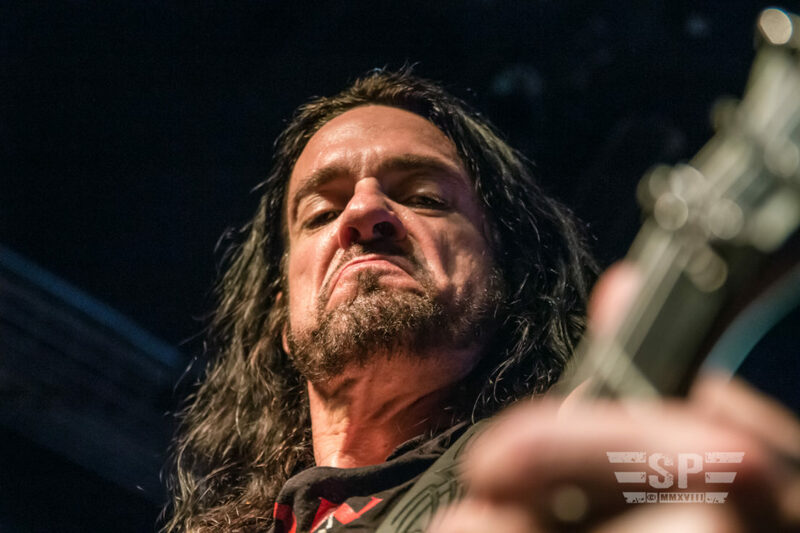 This gave fans a perfect cross section of Prong’s quarter century career, from the usual well known numbers such as “Prove you Wrong” and “Snap your Fingers,” to the very deep, dark ends of the massive Prong catalog. 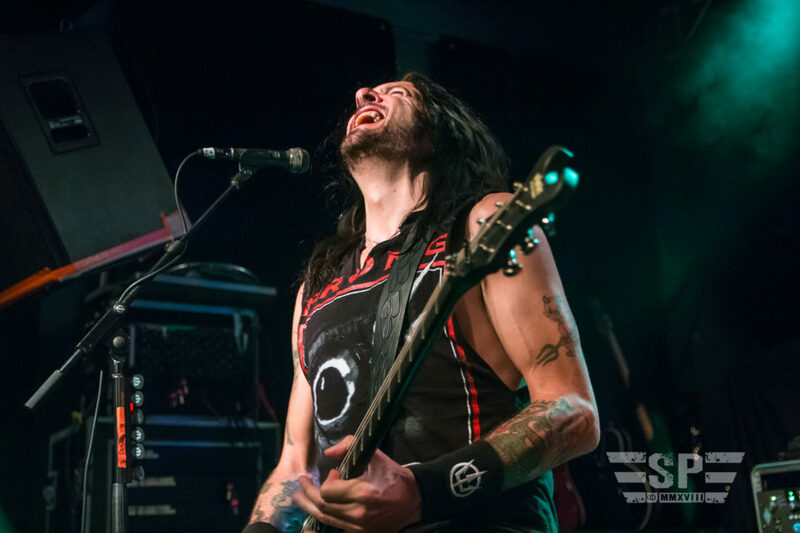 As a band that has literally released an album every year for the past 6 years, Prong will never have any shortages in material. 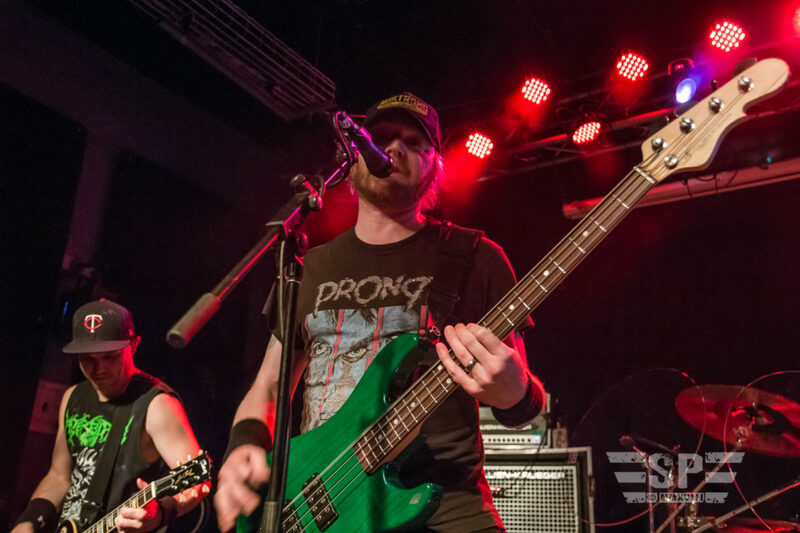 After totally killing the room with their lengthy, fulfilling, and massively energetic set, they left what appeared to be a massive flaming void in the venue as the result of their amazing performance. Fortunately, the co-headliners were no strangers to the practice of delivering a massive sound with extreme musicianship. 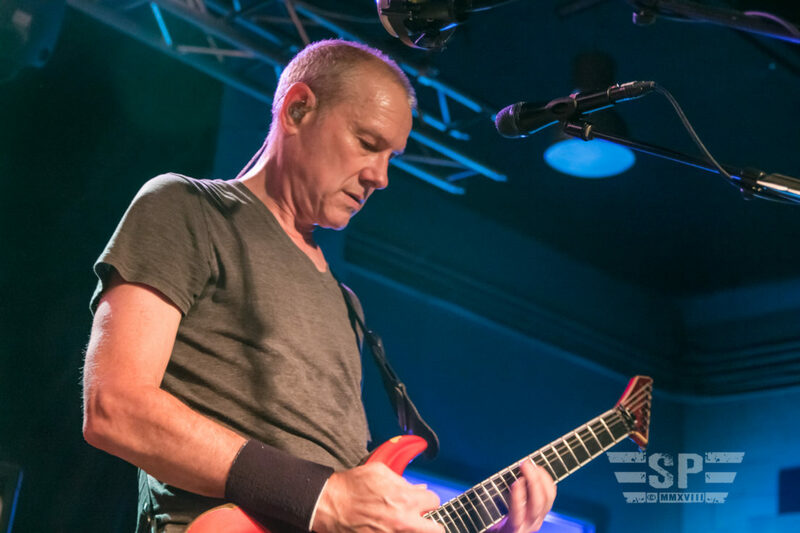 I remembered Helmet – The ’90s alt-metal icons who wore their hair short and didn’t look metal — long before the dark days of Nu-Metal. 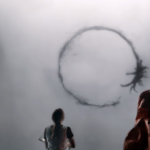 That was exactly how I remembered them from my youth. In fact, I recall an episode of Beavis and Butthead giving in-depth commentary to the music video for their early hit “Unsung,” where the the duo observed: “If you, like, saw these guys on the street, you wouldn’t even know they were cool.” In all honesty, I had no idea this band was still around, but I would learn where they had been rather quickly! Taking the stage under the assault of their signature dropped D sound under the command of founding vocalist/guitarist Page Hamilton – as the only original member, NYC’s Helmet appear to have no less a crushing tone as I remember decades ago. Despite the all ages crowd, the audience appeared to be more than familiar with the musical legacy that was Helmet, as they blasted out a set of both familiar and deep numbers such as “Ironhead” and “Wilma,” to “On your Way Down.” With such an impressive new line-up since their reformation in 2004, there is no doubt that Helmet will continue to carry on the sound that arguably saved metal in the ’90s and influenced so many bands that we hear today. 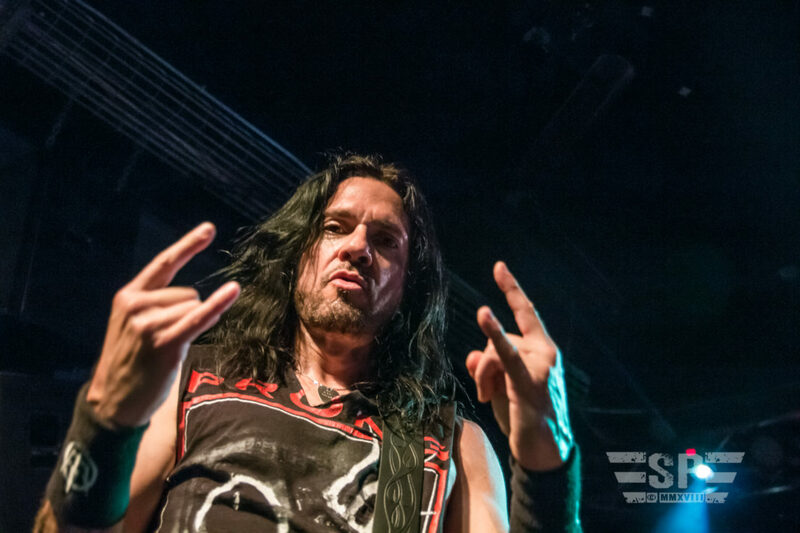 Prong and Helmet will be wrapping up their tour at the Maryland Deathfest on May 26th. 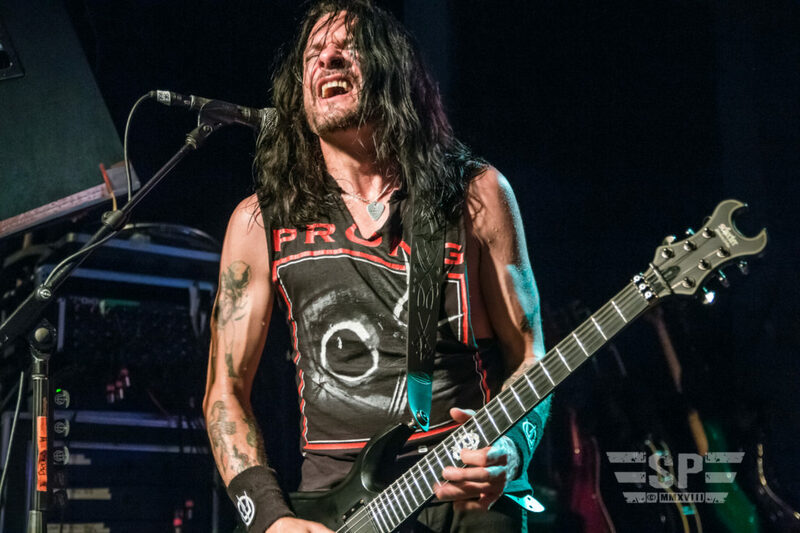 Tommy Victor of Prong will also be once again taking Danzig’s side as he headlines Psycho Fest in August. We look forward to seeing these icons and pioneers of metal on tour again in the near future.